Research has shown that the benefits of playing board games are numerous and at a time when the society is littered with negative distractions that has evidently been the source for the decline in social behaviour and low academic achievements, it is essential that those charged with the responsibility to help spread the games make it a priority to approach the relevant Ministers for their support and approval to introduce the games into the schools and help check the slide of our children into unhelpful pastime activities. One of the most important benefits of playing board games is the interaction and bonding it brings to families. 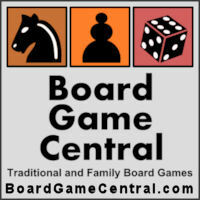 Board games are a great way for family members to relax and challenge their minds. It also helps children learn to think logically, while playing and having fun, they also practice such skills as counting, reading, visual perception, eye-hand coordination and dexterity. They learn about healthy competition, verbal communication and to focus their attention. One of the most researched board games is chess and there have been frequent studies publicising the academic benefits of playing the game. Studies have found that playing games such as chess increases reading performance, math ability and IQ. It further stated that Chess develops a new form of thinking, and this exercise is what contributes to increase intelligence quotient. Recent researchers speculate that the success of chess is due to the growth of new brain connections, while Scrabble, one of the best and most loved word games helps improve language skills. Guyana could very well benefit from the introduction of more board games in schools and there should be no hesitation in bringing together the relevant stakeholders to consider the possibility of having them as part of the education curriculum. Huzzah! More schools should take up this attitude!